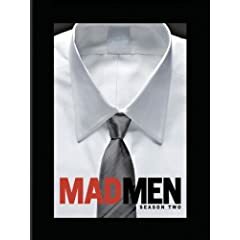 I'll be catching up on episodic television this week with both the second season of Mad Men and the much-anticipated release of MTV's seminal ensemble comedy seriesThe State in stores tomorrow. Other television series out this week include the eleventh season of ER, the eighth season of Bewitched and the first installment of the original American Gladiators. The only theatrical film on my shopping list is the Criterion Collection release of the stunning Apollo space program documentary, For All Mankind. The Towering Inferno and Crouching Tiger Hidden Dragon / Curse of the Golden Flower / House of Flying Daggers Trilogy are out on Blu-ray this week.